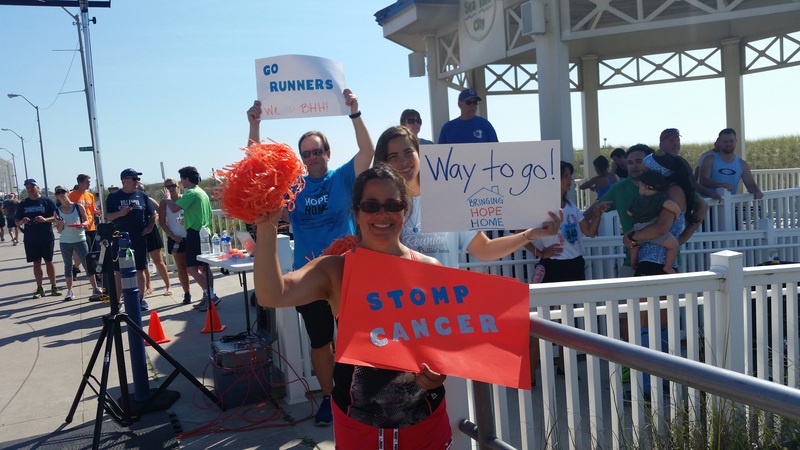 Runners are greeted by inspirational signs at the finish line of the Sea Isle City STOMPS Cancer 5K Run & Family Walk organized by Bringing Hope Home. As his wife, Kim, was dying of breast cancer, Tim Miller was also dealing with the enormous stress of possibly losing their house due to mounting financial difficulties. But a nonprofit organization called Bringing Hope Home stepped in just before Christmas in 2010 to pay Miller’s mortgage, electricity and water bills – $2,000 in total. “I had told my sons that we might lose our house. But Bringing Hope Home helped us so that didn’t happen,” Miller recalled. 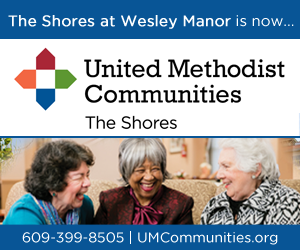 The Millers, who live in Westville, Gloucester County, are among nearly 5,000 families in the Philadelphia area, including 600 in South Jersey, that have received financial assistance from Bringing Hope Home while caring for a loved one who is sick or dying from cancer. 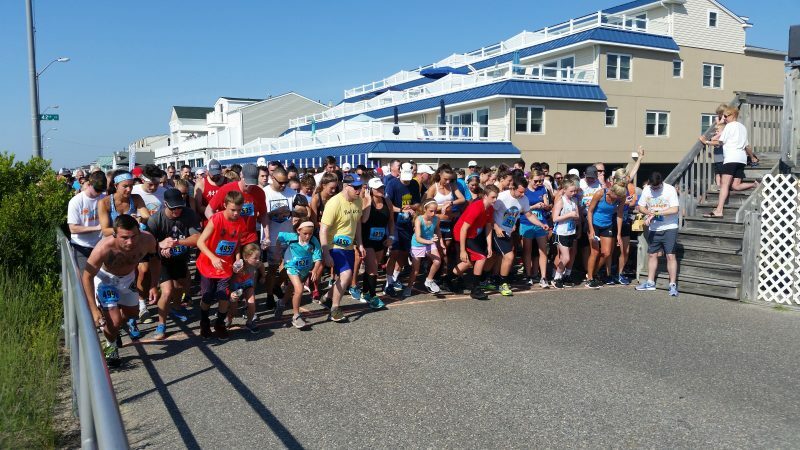 Looking to continue its mission, the organization raised an estimated $30,000 to $40,000 on Saturday during its fourth annual STOMPS Cancer 5K Run & Family Walk in Sea Isle City. More than 800 people participated, a record turnout, organizers said. 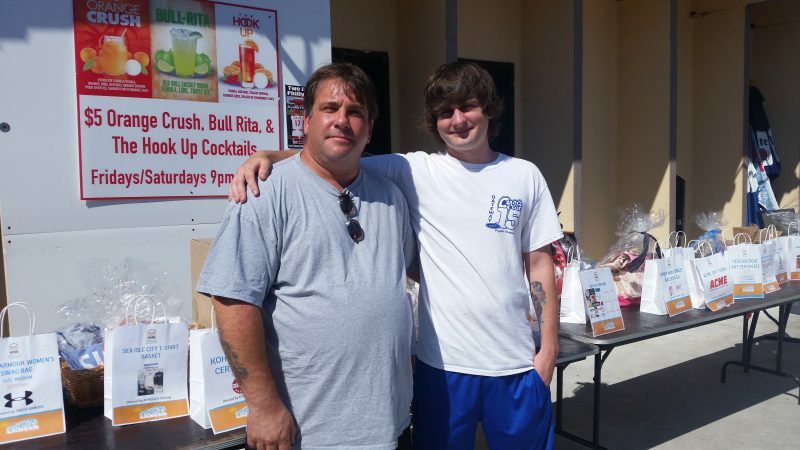 Tim Miller and his son, Brian, of Westville, Gloucester County, became advocates for Bringing Hope Home after the organization helped their family. During the run’s after-party, Tim Miller, and his son, Brian, who have become advocates for Bringing Hope Home, spoke about the financial help and comfort they received from the organization when Kim Miller was ill. She died on Jan. 2, 2011. “It’s sad. I want to cry. But it’s also beautiful. I do it for her,” said 21-year-old Brian Miller, who was only 13 when his mother passed away. In honor of Kim’s memory, the Millers have made it a Christmas tradition since 2011 to visit with families struggling with cancer. Often, they go to some of the poorest neighborhoods in Philadelphia. Tim Miller, 47, also has another son, 23-year-old Jimmy Miller. During Kim’s final days, the last thing Tim Miller wanted to tell his wife was that they were in danger of losing their house because of their financial plight. It was then that Bringing Hope Home helped to save their home by paying their major household expenses just before Christmas 2010. 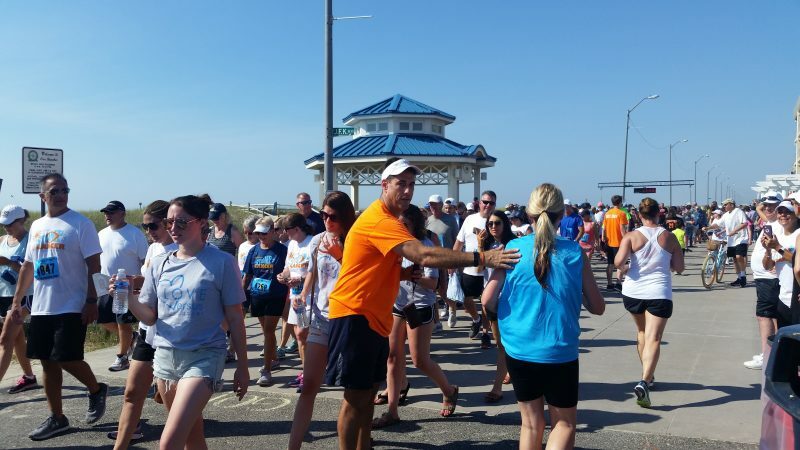 Bringing Hope Home CEO Paul Eisenberg, in orange shirt, thanks runners and walkers for participating in the fundraising event on Sea Isle’s Promenade. Over its 10-year existence, Bringing Hope Home has raised between $5.5 million and $6 million, said Paul Eisenberg, the founder and chief executive officer. 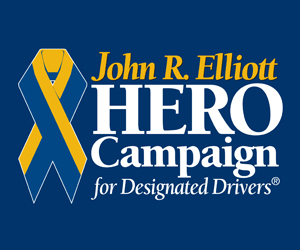 It helps out cancer patients and their families with a one-time payment for essential household expenses, including rent, mortgages, utility bills and groceries. 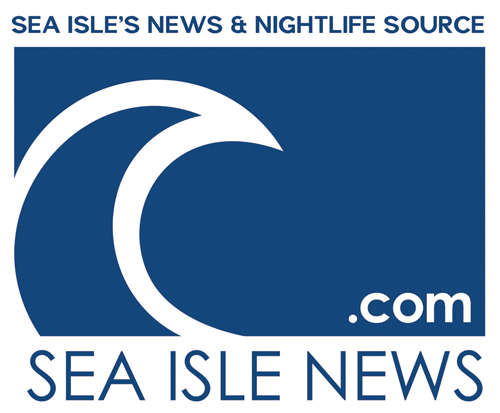 Eisenberg’s wife, Nicole, died of cancer in 2003, inspiring him to found Bringing Hope Home, which is based in Malvern, Pa. During Saturday’s race and walk on Sea Isle’s Promenade, Eisenberg stood at the finish line to personally thank many of the participants. “Good job. Thanks for running with us. Thanks for being here,” he said repeatedly while flashing a thumbs-up sign. The event benefits from strong local sponsorship, including corporations, businesses and private organizations. The LaCosta Lounge, one of the principal sponsors, hosted a post-race party featuring awards, raffles and entertainment. Teams of runners and walkers also helped to raise money. 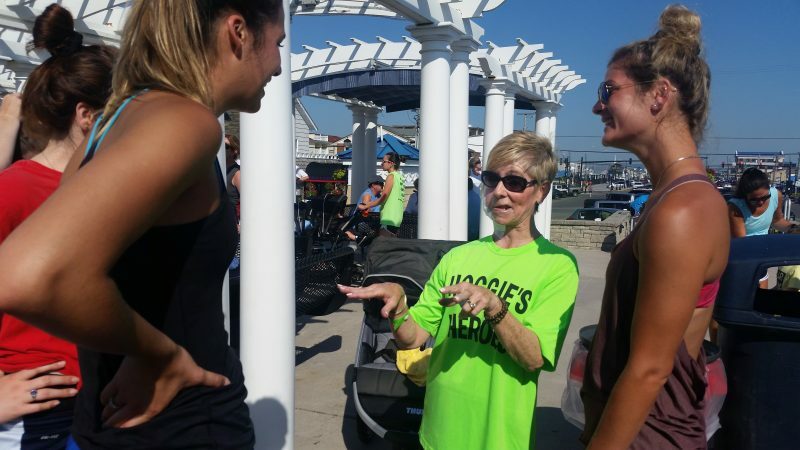 One team, dubbed “Hoggie’s Heroes” was led by Maureen Walsh, a Sea Isle resident who was diagnosed with an aggressive form of skin cancer three years ago. After extensive surgery, radiation treatments and chemotherapy, Walsh has been cancer-free for the last two years. At the same time Walsh was fighting her skin cancer, which had invaded her right ear, neck and upper back, she and her husband, Chuck, had the added stress of soaring medical bills. Bringing Hope Home helped to ease some of their financial struggles by paying their mortgage for a month. Now, the 56-year-old Walsh has become an advocate and fundraiser for the organization. “I’m so excited that so many people are coming out to help others who are battling cancer,” Walsh said just before the run-walk got underway. Cancer survivor and “Hoggie’s Heroes” team leader Maureen Walsh, of Sea Isle, talks with some of the participants. Her Hoggie’s Heroes team included about 90 members. 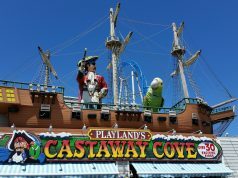 Walsh said it is her goal to double the size of the team each year the event is held in Sea Isle. Hoggie is the comical nickname given to Walsh by her family because of her tendency to “hog” her beloved grandchildren. Walsh, whose right side of her face is bandaged, lost her right ear and part of her face to cancer and is undergoing reconstructive surgery. Jason Eichmiller, Walsh’s son-in-law, said Walsh is an inspiration for the entire family. 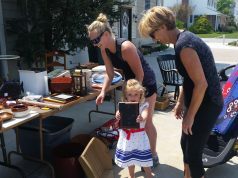 Eichmiller, who lives in Ambler, Pa., was a member of Hoggie’s Heroes on Saturday. He was accompanied by his daughters Alyssa, 8, and Molly, 4, and his son, Jason Jr., 6. Runners get underway for the 5K race that helped raise money for Bringing Hope Home.